When you choose to send your child to Camp Wise you'll be giving them a gift. Not the kind of gift they'll love for a few minutes and then toss aside, but a gift that will stay with them forever. Since 1907, CW has helped campers build confidence, develop independence and gain greater self-esteem all while being immersed in a welcoming and engaging Jewish environment. We'll encourage them to try new activities and give them the skills they need to make lifelong friendships. They’ll learn how to face challenges and overcome them in a safe space. We'll model for them what it means to be a proud, engaged Jew and they'll learn how to be a true mensch. Welcome to the ‘home of happiness’ we’re mighty glad you’re here. The overnight camp setting is the foundation for a unique transformative learning environment of total immersion and ‘living’ Judaism. In this space, accessibility for everyone – regardless of knowledge or experience – is created by the openness of the educator, be it a counselor, a visiting educator, or a camper. Through intentional programming rooted in the core values of camp, campers gain a sense of ownership for their own Jewish exploration and identification that carries with them beyond camp into the ‘real world.’ The emotional and spiritual connections evoked at camp create campers and staff members who are hacham lev (wise of heart), who become seekers of kehillah (community), hochmah (wisdom) and shalom (peace). A sense of belonging is what brings people back each summer, but the camp community is also a place for newcomers to be warmly welcomed. Just as Abraham and Sarah opened their tents for visitors, kindness and hospitality are extended at camp to new campers, staff, and guests in an effort to lessen the intimidation of a new culture and setting. The Torah teaches that everyone is created in the image of God, and at camp this extends from the kitchen staff, to counselors, to campers with special needs. Staff members model the importance of appreciating differences, honoring their own bodies and minds, and taking care of each other, with an emphasis on lashon tov (good speech). In the unique camp pecking order of ‘cool’, mensches (decent people) are honored and recognized, and emerge as leaders among both campers and staff. The sense of belonging rooted in the camp community is extended to a responsibility for the global Jewish community, and a love for both the land and people of Israel. Ziyonut (Zionism) is emphasized by a commitment to creating personal connections between individuals and Israel. In a natural and beautiful setting, the physical space of camp becomes the experiential training ground for ba’al tashchit (not destroying) and teva (nature). Campers are tuned in to ma rabu masecha (finding awe in our surroundings) and are shown the importance of stewardship of camp and the planet. 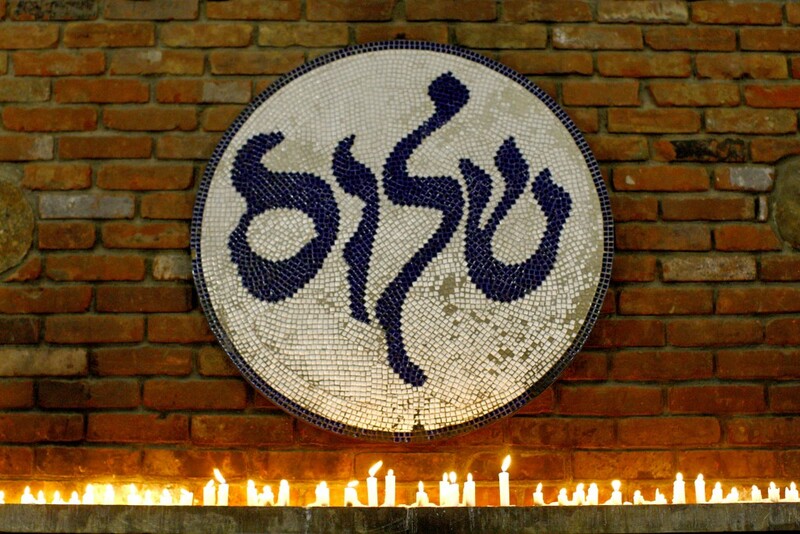 Tikkun is explored at all levels by learners – starting with mitzvot (good deeds) within camp and extending to the larger community, illustrating the Jewish obligation of or lagoyim (being a light unto the nations), and bringing to action the words in the Torah, “v’ahavta l’reyacha” (love your neighbor as yourself). If formal Jewish education provides an individual with the keva (structure) of Jewish life, then camp is where kavanah (spirituality) is discovered. Camp is where Judaism comes to life, through hidur mitzvah (creativity), simcha (celebration), and above all else, ruach (strength of spirit). The camp community is at the core of this vision. When each individual feels investment and commitment to those around them, an environment of trust, loyalty, and support is created. 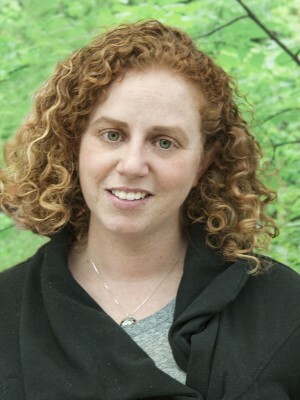 This sense of belonging to something bigger than the self inspires kavod (respect) and chesed (kindness), and forms a safe space for learning and growing. This starts in the bunk with each camper feeling a part of something special, but it is just as important for the staff members to feel this sense of belonging to the community to be effective doogma esheet (role models). Camp Wise is a department of Mandel Jewish Community Center of Cleveland, Ohio. Contact the camp office to learn more about the JCC and it’s services. Members of the Mandel JCC receive discounted camp tuition. Camp Wise supports the Mandel JCC’s J-Day Camps. Contact the camp office to see how your child can split their summer between J-day Camps and Camp Wise. Since its first summer of operation in 1907, Camp Wise has grown from a basic fresh-air camp into a modern, organized residential camping facility. Initially a program for underprivileged immigrant families, over the years Camp Wise has developed to be a leader of the field of Jewish camping, and has secured a special place in the hearts of hundreds of thousands of children and teens. Created by a dedicated and passionate group of leaders and volunteers with foresight and vision, the camp’s initial funding began with a generous gift from Samuel D. Wise – and Camp Wise was born. Camp Wise was originally situated near Euclid, Ohio, at Stein-on-the-Lake, Interurban Stop 133. In 1924 when the camp was moved to Painesville, Ohio, newspapers printed stories about the camp that “promises to be the model camp of the entire country.” With a growing number of campers and a need for better facilities, Camp Wise was relocated again in 1966 to its present site in Burton, Ohio. Halle Park, the name of the site encompassing both Camp Wise and the JCC’s Anisfield Day Camp was a gift made possible through the generosity of Eugene and Blanche Halle. While the physical location of Camp Wise has moved three times, the spirit and magic of Camp Wise remains the same. For a more detailed history of Camp Wise, contact our office to obtain a copy of “The Camp Wise Story, 1907-1988” by Albert M. Brown. The Jewish Federation of Cleveland supports the Mandel Jewish Community Center and Camp Wise by contributing to ensure our financial security and supporting our facility updates. Programming support including our teen Israel experience. 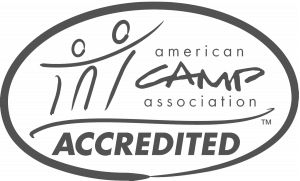 J camp 180 which provides free consulting services to camp and lay professionals, including development of our strategic plan. Offers grant-matching opportunities for facility upgrades. Supports the PJ Goes to Camp and One Happy Camper incentive grants which help to increase attendance at Jewish overnight camps. The Foundation for Jewish Camp has been an active partner with Camp Wise for many years. Creating the Cornerstone program which provides camp bunk staff the opportunity to learn to create meaningful Jewish programming that they can then bring back to camp. 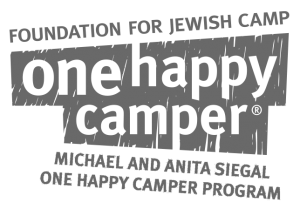 Administers the One Happy Camper Grant in partnership with PJ Goes to Camp, The Harold Grinspoon Foundation and local communities. These grants provide incentive grants to first-time campers.